Photo Courtesy of Selene Sorto. 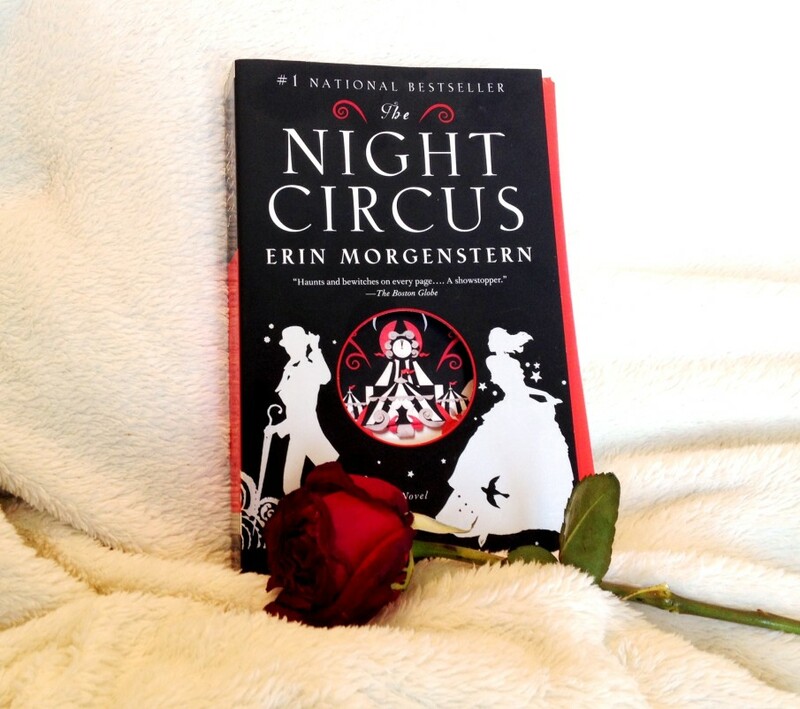 A mysterious circus that only comes out at night, illusions that are more magical than is believed, an unbreakable bond to a magical competition and a forbidden love, come into one in this magically enticing novel, The Night Circus by Erin Morgenstern. This novel takes you into a whole new world, and that’s not only because the circus takes you around the world during the late 1800’s to early 1900’s. When I say a new world, there’s a lot more to it. It’s a world you’ve never seen before; one you didn’t even know you wanted to be a part of until you read about it. It begins with the arrival of the circus of dreams. “It is simply there, when yesterday it was not. It is called Le Cirque des Rêves, and it is only open at night.” People don’t know what to think of it, but it’s an oddity, with its black and white uniformity, that entices curiosity among the townspeople. There was no choice but to attend for many, and boy was it quite an adventure for most of them. It had spectaculars unlike others ever seen before; from an illusionist to a psychic, to a room full of jars that enclosed visual memories. Soon after opening night, it quickly became a fan favorite around the world. The most enthusiastic of them all came together as Le Rêveurs (The Dreamers), and identified themselves through red scarves worn amongst them. These fans followed the circus everywhere they were able to, and they knew all there was to know about Le Cirque des Rêves; or did they? There was more than met the eye. Although they thought they knew it all, there was one thing that slipped their sights. That was the magical competition going on behind closed curtains. Celia Bowen is daughter of The Great Illusionist Prospero. It was only natural that Celia would carry his extraordinary talent. What the audience didn’t know, though, was that every time Celia turned a black dress to green and vanished into thin air, she wasn’t creating an illusion, but using real magic. Celia’s talent was what led her into a bounded competition against Marco Alisdair. Her father made a deal during her childhood with Alisdair, in which each would prepare their student (Celia for Hector and Marco for Alisdair) for a magical competition in which only one was allowed to be left standing. Celia and Marco are very little informed about the rules of the game and how the winner is determined, but with years of competing (and sometimes working together), it was only natural for the two to fall in love. Unknowing of their cruel destiny, they pursued their love, which was as strong as their magic and felt at a fingers touch. They literally could feel the magic run through them, every time hands intertwined and every time lips touched. So what was these lovers’ destiny, you ask? Read it and find out! If we’re lucky enough, we might even get a chance to see it in theaters!